Identifying your depression is the first step to treating it. Finding a solution for treating depression isn’t always easy, as many different ways exist. Not only that, but some people may be more resistant to some forms of treatment, or for whatever reason don’t feel they should seek treatment. Mango Clinic Miami knows you shouldn’t go it alone, and we know there’s a treatment for everyone. Therapy is likely the option that comes to mind first for treating any level of depression. However, it’s also not a simple case of consulting with a professional, as there exist different therapeutic methods. Cognitive behavioral therapy (CBT) is one that focuses on providing solutions to your problems as a way of combating your depression. This contrasts with other forms of psychoanalysis (such as psychodynamic therapy), which try to look at a patient’s past experiences to possibly identify the reason they’re depressed. CBT instead works to solve the problem directly, allowing patients to understand their illness in its entirety, and finding solutions together with their therapist. Ultimately, the goal of CBT is for the patient to treat the negative energies they have head-on by recognizing and combating them. Interpersonal therapy (IPT) is another form that has the patient looking at their relationships with others, as well as life events, and finding ways to improve them. These relationships and activities are analyzed to see how they may be contributing to a patient’s depression, which then lets them tackle and resolve any possible issues. 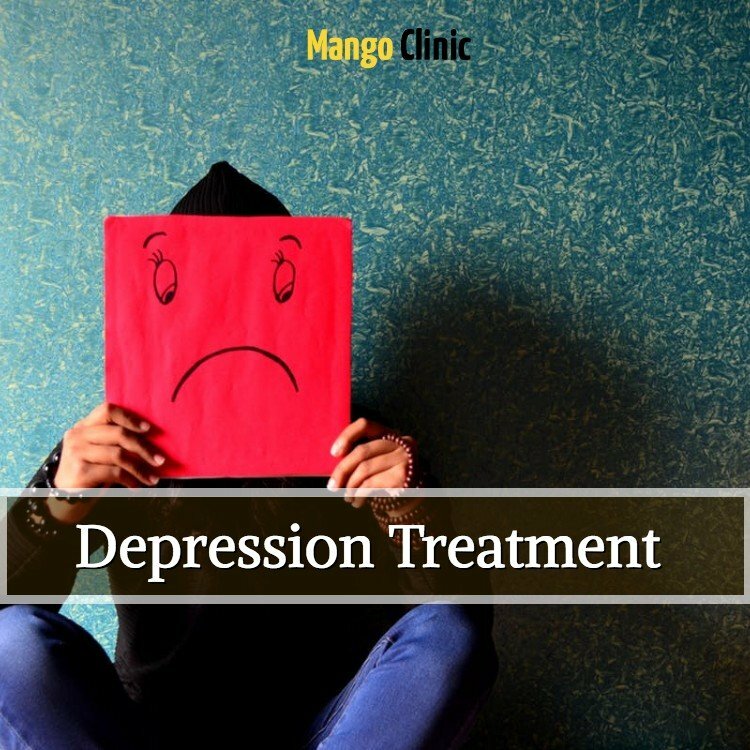 Medication for treating depression is another common and helpful option that often helps many people. However, as is to be expected, there are different types with different results, so if you do receive medication, it will be prescribed as being best suited for your needs. 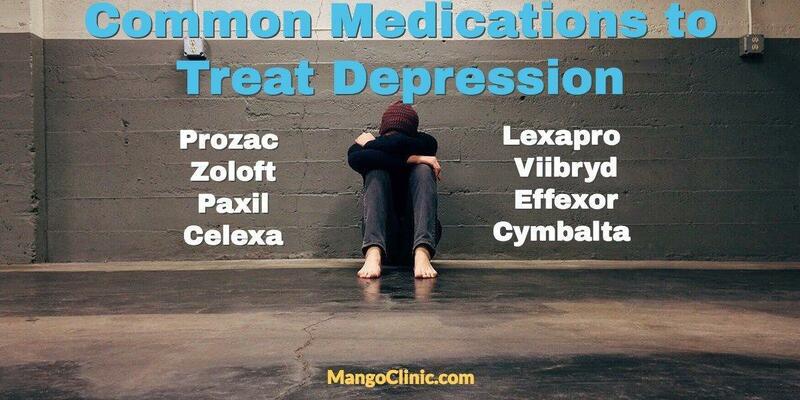 Prozac, Zoloft, Paxil, Celexa, Lexapro, and Viibryd are the brand names for the most common antidepressants used in depression treatment; they are also known as selective serotonin reuptake inhibitors (SSRIs). SSRIs increase serotonin levels in the brain by blocking the reabsorption to the brain, letting more serotonin be available. Their selectivity in affecting just serotonin is what gives them their name. Effexor, Cymbalta, and Pristiq are known as serotonin and norepinephrine reuptake inhibitors (SNRIs). SNRIs work similarly to SSRIs; they impact neurotransmitters by blocking reabsorption both serotonin and norepinephrine in the brain. Each antidepressant can provide similar relief, but their chemical makeup will be different. While one type might provide unfortunate side-effects, another might work as intended. For these reasons, you will want to consult with your doctor on which antidepressant would work best for you. You’ll also want to keep consulting with them after, in case problems arise. Common side effects associated with antidepressants include headaches, nausea, dry mouth, insomnia, dizziness, and even sexual problems. There also exist some safety issues that can be very important to keep in mind. You want to tell your doctor if you’re taking any other medication before being prescribed antidepressants, as the combination can be hazardous. If you’re pregnant or plan on being pregnant, you should ask your doctor of any possible risks that may occur if you take antidepressants. If you happen to get pregnant during your time with antidepressants, do not stop taking your medication. Instead, contact your doctor first, as stopping dosage (pregnant or not) can be very dangerous. A rarer but still real effect that antidepressants can cause is serotonin syndrome. This is when your body starts accumulating too much serotonin, which can be the result of combining antidepressants with each other or another form of medication. Symptoms can include anxiety, sweating, restlessness, agitation, and confusion. If you would like more information on which treatment options are best for you, come to Mango Clinic Miami. Our professional and caring staff will be able to evaluate your needs and help you decide how to treat your depression. Call us or visit our web page today to schedule an appointment. nextAre Emotional Support Animals Covered Under the ADA?